Over my 12-year career as a Marriage Celebrant I’ve married more than one Trans person. In every case it all started with a very tentative email or phone conversation during which the person enquiring tentatively broached the subject while asking whether the ceremony could be a legal one. In each case my answer was simple and to the point. You can be legally married to a person whose gender on their paperwork is the opposite one to that on yours. Despite all the rhetoric, it is what’s on the paperwork that counts, not what’s in your pants. (These conversations took place before Australia changed those three words in the Marriage Act – a man and a woman - to two people.) The marriages went ahead. In each case a very happy ceremony, some with open acknowledgement of the trans journey, some without. 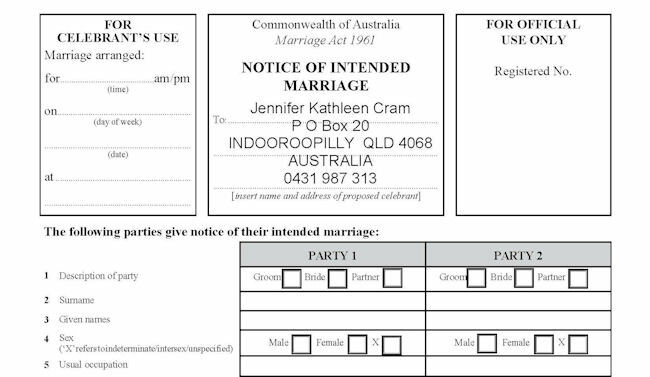 So I was very surprised when, after last December’s change to the Marriage Act, gender, which had never featured on any of the marriage paperwork other than the gendered terms Bridegroom and Bride, was suddenly front and centre on the Notice of Intended Marriage and on the Official Certificate. Particularly as my new driver’s licence had arrived without any gender designation, something which is happening in various states in Australia, and there is ongoing discussion about removing gender from birth certificates. 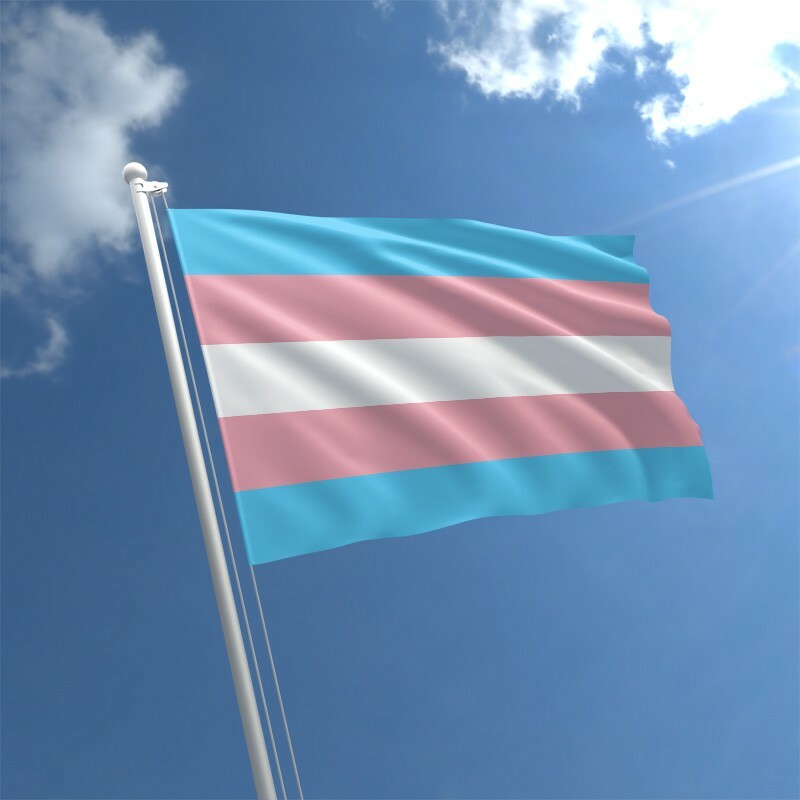 Even more surprising is that a draft revision of the Notice, currently in the consultation phase, includes gender information while omitting several other pieces of identity information that are in the current version. If you’re a Cis-Gender couple planning your own wedding, issues of gender identity may not be front and centre in the process. However there are good reasons why they should be. Let’s hark back a little to the days when a couple could legally marry only if they were of opposite genders. 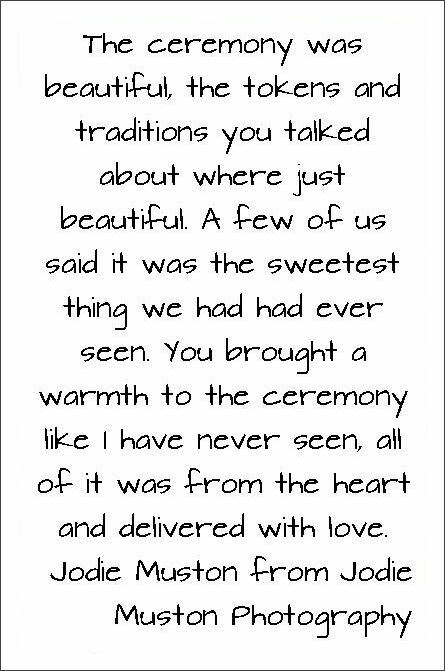 What that meant was that, however inclusive the ceremony (and I worked hard to make sure that everyone felt included), there was a point in it where the celebrant had to make a statement that, in effect, said to some of the guests, “except you”. So I offered a range of options for ways the couple could make it clear to the guests that this was not their opinion, but a legal requirement. So we made statements to that effect. Since the change in the Act many of my couples (both gay and straight) are opting to include a statement about what the change in the Act, and the change in the wording of the celebrant statement, means to them. But, as they say, there is more, because there is so much around a wedding that can make a trans or gender nonconforming person feel unwelcome and embarrass them. Here is how to factor inclusivity into every part of your wedding. Watch your pronouns in all wedding-related communications. By the time wedding rolls round, having seen sharing pronouns in your save the dates, invitations, wedding and website, hearing them used in your ceremony and on your seating plan, place-cards, and speeches, will not be remarkable. There is nothing more awkward than making someone feel uncomfortable through being misgendered, and then having to decide whether to identify as “other” by correcting this, or to be silent and feel invalidated. Brief all your wedding suppliers in advance. If necessary, do a little training about sharing pronouns and acceptable terms. Make sure your celebrant is aware of your desire to be inclusive. You may have to specifically pay attention to the wording of the Welcome or invitation to congratulate you does not include terms like Ladies and Gentlemen. (I use Friends and Loved Ones). Ask your photographer not to give directions using gendered terms. This applies not just for the group photos, but for photos of the wedding party where you have mixed genders. Something like everyone holding a bouquet, over here please. Anyone who is wearing trousers please check that you don’t have anything bulky in your pockets. Ask your florist to put people’s names on bouquets, corsages, and boutonnieres, rather than gendered terms like bridesmaid and groomsman. And make sure that your DJ understands that calls for girls/ladies or boys/gents (or any similar terms) to the dance floor, won’t be acceptable. (You could even write all of the above into your contract with these vendors). Before booking a venue, check the toilets at the venue (and ceremony site if separate). Are there gender neutral toilets available? If not, ask if you can put signs over the existing signs that specify whether the toilets have urinals or only stalls with pedestal toilets. While many trans people use the toilet that aligns with their gender identity, others, including non-binary guests, can feel unsafe using one that is specifically labeled for a particular gender. Talk to the venue about bar practices. Where your trans or non-binary guests look young, they will be asked to provide ID to prove they are old enough to be served alcohol. This is a legal requirement and venues can be fined large amounts if found to be serving alcohol to underage people. However, while the process is in place to remove gender markers from driver licences, for example, bar staff should be reminded that having a M or an F on a licence that doesn’t seem to match the gender identity of the person in front of them doesn’t mean that there is anything questionable going on. Be mindful of attitudes when planning who sits where. If you have any inkling of a concern about the attitude of any your guests, make sure that you do not seat them at the same table(s) as your trans or non gender-conforming guests. Your wedding isn’t the place for an all-out educational dust-up. Everyone present should be able to relax and enjoy themselves, and feel safe and accepted while doing so. Should anything untoward happen, despite your best plans, make sure that you have someone briefed who can damp it down and, if necessary, quietly frog-march the offending bigot off the premises. Skip gendered traditions. Personally, I’m in favour of tossing out any tradition that confirms old-fashioned gender-role stereotypes. Most of these reinforce gender roles of the marrying couple, but there are two that impose on everyone present – tossing the bouquet, and tossing the garter. These require people choosing whether they should line up to catch the bouquet or the garter, which totally excludes anyone who is non-binary and will invariably raise the spectre of the potential of others not believing a trans person belongs on that side.